Live to the fullest: The Great Big Book of Life by Hoffman – Joyce's mystery and fiction book reviews with some non-fiction too! 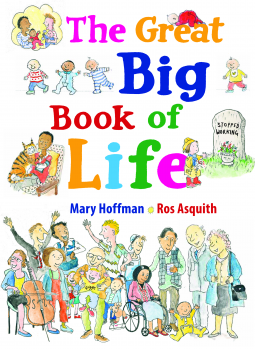 The Great Big Book of Life will be a welcome addition to home and library shelves. 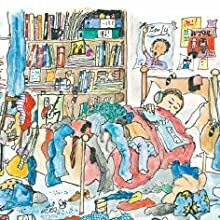 It is appealing in its layout, factual (and when appropriate humorous) in tone and has very appealing illustrations that remind me a bit of Helen Oxenbury. For extra fun while reading, look for all of the pictures and comments by the cat. The book starts with an entry about before babies are born and moves through the life cycle until death by the end of the book. 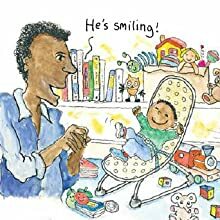 Early sections will appeal to young children who want to know what they were like as babies or perhaps have recently become older siblings and want to understand things like why babies cry, why they are supposed to be quiet when the baby is sleeping, etc. This short book moves forward from infancy through all of the stages of development including toddlerhood, the school and teen years, adulthood, older age, etc. I found this book to be a helpful guide to questions children may have…or not even know that they had. I recommend it highly. Thanks to NetGalley and the publisher for this early read. All opinions are my own. It takes six weeks for a baby to learn how to smile reflexively in response to other people’s emotions. Once they have fully recognized who their caregivers are, a sense of trust develops, and through gradual steps a baby will begin to smile back, hold their head up, turn themselves over, and much more. During the teenage years, adolescents require more sleep to function well the next day because of the changes happening inside their bodies. This age group is typically characterized as being moody, unpredictable, and opinionated on certain matters.